As for this, during the first period of the time of the eleventh Dalai Lama Kedrup Gyatso and the regent Ratreng Hotogtu Ngawang Yeshe Tsultrim Gyaltsen, the Great Dharma King Nechung and the Lhasa Trokang Gyalchen Shugden were both swift to perform activities and both were very renowned to give accurate prophesies. Resident in Tibet was a high Chinese minister who was powerful and oppressive named Amben Che Trungtang. He had some very important questions to ask for prophecy that he had written in Chinese. He came to the Lhasa Trode Kangsar Protector Palace and, in front of the image of the Dharmapala, burned the questions he had written in Chinese, and demanded that the Dharmapala (Shugden) give clear prophesies in answer to his questions during an invocation the following day. When Dharmapala was invoked the next day, he gave explicit powerful answers to the questions in the correct order. Trungtang, with delighted conviction, informed the emperor Dhakong who awarded a proclamation of praise to Gyalchen of the Trokang Temple with a pandit’s hat, and also gave a pandit’s hat to Nechung at the same time. The regent Ratreng, the Kashag, the Shabpa, the head secretary and so forth, ordained and lay officials from the high to low, and the Chinese Amban and his entourage went to Nechung in the morning and after a ceremonial offering of the new pandit’s hat, then went to Lhasa Trode Kangsar. There, in the center of a large stone courtyard, inside a pitched tent, in an elaborate auspicious ceremony, over the door of the protector palace was offered the pandit’s award. The Trokang oracle, the temple monks, and general chief monks, with the regent Ratreng Rinpoche, the Chinese Amban, the Kashag, and Shabpa as chief attendees, Tibetan and Chinese people of all ranks were offered a feast and had a huge festival. 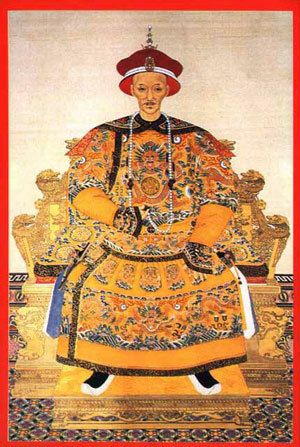 With the Chinese emperor Dhakong and the Lord of Buddhas, the Dalai Lama, patron and lama together, they all praised and enthroned Gyalchen Dorje Shugden as principal protector of the Yellow Hat Teachings as praised in this part of the verse. 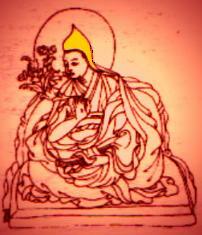 I have seen with my own eyes a record of this and the previously related story in which the minister Bumtangpa was saved from execution, in the notations of the office of the Kashag of the Tibetan government, in the guest book diary for the respective dates where the essence of what occurred in each instance was described. This entry was posted on Saturday, February 18th, 2012 at 5:13 am	and is filed under Articles. You can follow any responses to this entry through the RSS 2.0 feed. You can leave a response, or trackback from your own site. From this it only shows the close relationship that China has with Dorje Shugden. And what made the Chinese to pick this practice up again was because they were against the Dalai Lama. Since the Dalai Lama say that by practicig DOrje Shugden, there will be possibilities be harmed. Hence the Chinese promotes it tirelessly.